The Capital Fringe Festival is back! Catch free performances at Fort Fringe (607 New York Ave. NW) or shell out the bucks for improv, drama, dance and quirk at more than 15 different venues. See showtimes here; tickets ($17) and discounts here. Through July 29. Save money at some of Bethesda's best restos during Bethesda Restaurant Week. Almost 30 participating restaurants offer deals and specials for lunch and dinner. Check out the list of participating restaurants here. $13 and $16 two-course lunches; $33 three-course dinners. Through July 22. Urbana (2121 P St. NW) is serving up specials in honor of its birthday week! Slurp six War Shore oysters and a pint of Port City Revival Oyster Stout for only $6. 4-7 p.m. You can also indulge in $10 glasses of Veuve Clicquot. 4-7 p.m. at the bar; throughout dinner service in the dining room. Having dinner? Nom a free house-made ice cream cones. Screen on the Green is back for another summer! 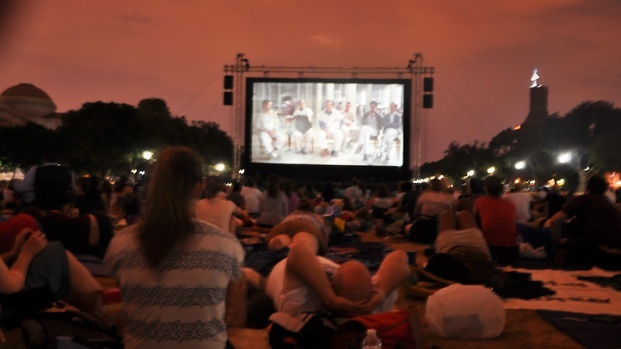 For four weeks running, you can catch a classic movie under the stars, with the Capitol as a stunning backdrop. 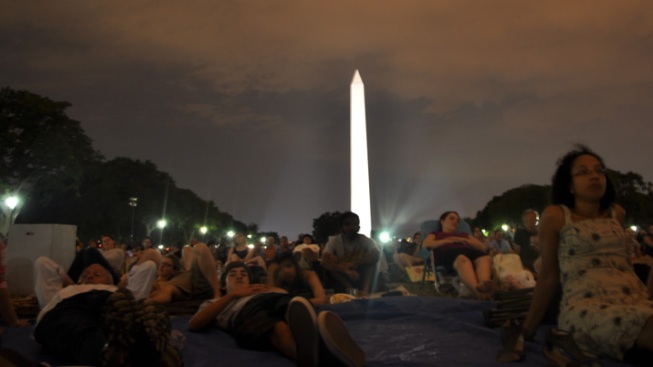 Bring your blankets to the National Mall between 7th and 12th streets NW. The first week's film is "Butch Cassidy and the Sundance Kid" (1969), starring Paul Newman and Robert Redford. Sunset; free. The free Fort Reno concert series (3950 Chesapeake St. NW) rages on. Monday's acts: Cigarbox Planetarium, Alma Tropicalia and, maybe most interestingly, Nox, featuring four girls ages 11 to 14 who cite Sleater-Kinney and Joan Jett as their influences. 7-9:30 p.m.; free. Werewolves have made a recent comeback to the screen, but Black Cat is taking it back to the '80s. Catch '"An American Werewolf in London" and "Teen Wolf" during the Black Cat's (1811 14th St. NW). 8 p.m.; no cover. Alternative rock gods Wilco and special guest Lee Ronaldo Band (of Sonic Youth) take the stage at Wolf Trap (1645 Trap Road, Vienna, Va.). 8 p.m.; $35- $45. Celebrate fake St. Paddy’s Day at Star & Shamrock (1341 H St. NE ). This traditional Irish pub and New York-style deli celebrate on the 17th of every month. Head out for food and drink, live music and giveaways. No cover. Portions of the AIDS Memorial Quilt are on display around the District this summer, and today's your last chance to catch it at the Kennedy Center (2700 F St. NW), the Arena Stage (1101 6th St. SW) and the Mayflower Renaissance (1127 Connecticut Ave. NW). More info here. Environmental org Live Green throws a summer bash at Local 16 (1602 U St. NW), featuring Honest Tea cocktails, music from DJ Payne of FunkDC, and noshes from Local 16, Java and Cafe Green. 6-9 p.m.; $15 in advance; $20 door. NoMa Summer Screen (L Street NE between 2nd and 3rd) offers a tongue-in-cheek theme of "The End of the World?" for 2012, appropriately (or eerily?) enough. This week's flick is "War Games" (1983), starring a baby version of Matthew Broderick. Spoiler alert: They connect to the Internet using a PHONE! 7 p.m. food and music; 9 p.m. movie; free admission. Meet the chocolate makers from Co Co. Sala, who will join the crowd at COCOVA (1904 18th St. NW) to discuss (and share!) their fave treats. 5:30-7:30 p.m.; free. Do you love lamp? We love lamp! And "Anchorman," it should go without saying. Cool off at a Dive-In Movie at the Capitol Skyline Hotel (10 I St. SW), which is showing the Will Ferrell fave pool-side. 7 p.m. doors; 7:30 p.m. movie; $10 in advance; $12 day of event; includes drink ticket. Get one of your paintings in a museum! Sure, it's on a a technicality -- you'll be making the painting while you're in the museum -- but we're not juding. Art Jamz is holding another pop-up event at the American Art Museum, which includes live jazz in the Kogod Courtyard. Your ticket price includes a 20x24 canvas you get to keep, plus the use of an easel, acylic paints and brushes. You'll also get 20 percent off drinks at food at the cafe. 5-8 p.m.; $40. Crystal Screen: Rom Coms screens lady-angst classic "Bridget Jones's Diary" (2001) in the Bell Street Courtyard (1851 S. Bell St., Arlington). Sunset; free. Belga Cafe (514 8th St. SE) throws a White Party as part of Belgian Restaurant Week. Wear white, sip white beers, and comtemplate that fries are, sadly, not quote in the color scheme. Haven't been to Jazz in the Garden yet? The summer's half over -- what are you waiting for? the free concert series has crowds grooving in the Sculpture Garden outside the National Gallery of Art every Friday evening. This week's performance comes from Incendio, billed as playing Latin guitar world fusion jazz. 5-8:30 p.m.; free. Contemplate your mortality (but hilariously) at Movies on the Potomac durnig a screening of "The Bucket List" (2007), starring Jack Nicholson and Morgan Freeman. Sunset; free.